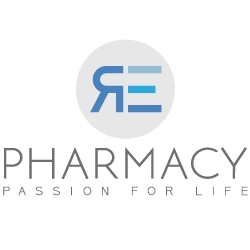 Irvine, CA, April 17, 2019 --(PR.com)-- RE Pharmacy, a leader in specialty pharmacy and infusion services, announced today their newly designed corporate website, https://www.repharmacy.com. The overhauled website features streamlined and simplified mobile viewability, improved functionality, and enriched content. The purpose of the new website is to create the best experience for customers and visitors as possible. - Disease-based Search: Choose and download a referral from a list of diseases. Example: Asthma, Hemophilia, Rheumatology, etc. - Medication-based Search: Choose and download a referral from a list of medications. Example: Humira®, Soliris®, Xolair®, etc. - Input-based Search: Much like Google’s search engine, RE Pharmacy’s search feature analyses inputted characters, matches them against a vast database, and displays the results instantaneously. By simply typing in a first few letters of a medication, a list of all medications will appear that contain those letters. This allows doctors to download the exact referral form they are looking for. RE Pharmacy’s new website will be updated regularly with patient and physician testimonials, company news, event coverage, and developments in the industry. Visitors are encouraged to visit the new website and follow RE Pharmacy via their Social Platforms. RE Pharmacy is the leading specialty pharmacy and infusion service provider of choice for patients and physicians seeking exceptional expertise, human kindness and professional guidance. The pharmacists and technicians at RE Pharmacy combine their professional expertise with caring support while helping patients navigate the complicated worlds of medicine and health insurance. RE Pharmacy is accredited by URAC and ACHC.